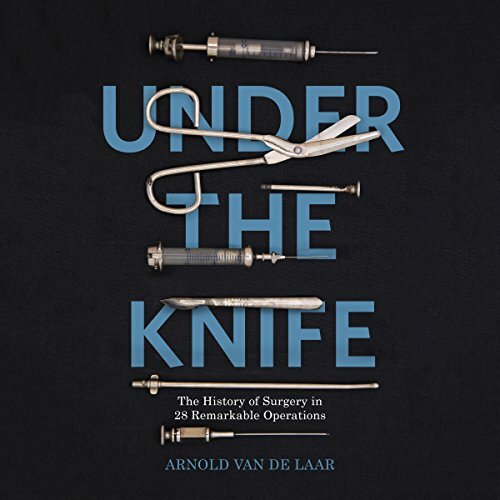 In Under the Knife, surgeon Arnold Van de Laar uses his own experience and expertise to tell the witty history of the past, present and future of surgery. From the story of the desperate man from 17th-century Amsterdam who grimly cut a stone out of his own bladder to Bob Marley's deadly toe infection, Under the Knife offers all kinds of fascinating and unforgettable insights into medicine and history via the operating theatre. From the dark centuries of bloodletting and of amputations without anaesthetic to today's sterile, high-tech operating theatres, Under the Knife is both a rich cultural history and a modern anatomy class for us all. Dieses Buch ist besonders gut und einfach in seiner Form zu verstehen. Eine gut gelungene Auswahl an Beispielen, die die Chirurgie in ihrem Umfang klar und einfach, für jeden zu verstehen, darlegt.